Fyodor Dostoyevsky, Notes from a Dead House. Design: Peter Mendelsund. It was for a perhaps peripheral participation in the “Petrashevist” movement that Fyodor Dostoevsky was arrested in 1849 and sentenced to four years of hard labor followed by four years of military service in Siberia; he’d circulated a letter and supported the establishment of a subversive press, all done in resistance to the established imperial power structure with the Church and Tsar Nicholas I at its head. 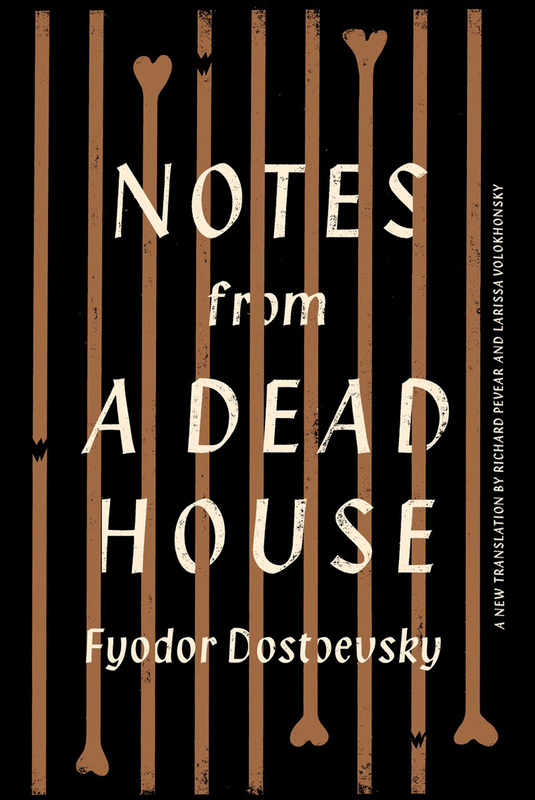 Dostoevsky immediately began characterizing his impending sentence as a kind of death – with the promise of resurrection to follow. He assured his brother in the most fulsome terms that if he survived his coming ordeal, he’d be reborn. He got out of the prison portion of his sentence at the beginning of 1854 and began his military service in Kazakhstan by promptly importuning his brother for books, emphasizing “my whole future depends on this.” In this he was, at least artistically speaking, entirely right; prior to his imprisonment, he’d been the author of a listless novel and some fairly listless short stories, and on some level he must have recognized the potential his tragedy had to work as a catalyst. As Richard Pevear remarks in the Foreward of his new translation, the appearance of the resultant book, Notes from a Dead House, in 1861-62, “marked a triumphant return to literature” for its author, who never thereafter wrote a listless word in his life. The book, a lightly-fictionalized chronicle of Dostoevsky’s prison experiences – here happening to a nobleman named Alexander Petrovich Goryanchikov, who’s sent to penal servitude for the crime of killing his wife – was a great critical and popular success. A writer was indeed reborn. 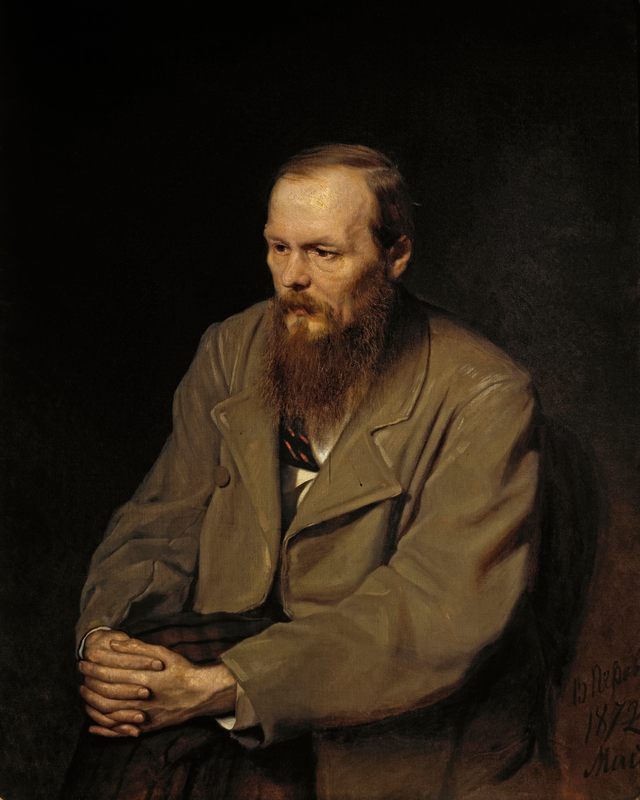 Portrait of Fyodor Dostoyevsky by Vasily Perov (1872). The appearance of any new translation by Richard Pevear and Larissa Volokhonsky is always an event in a literary season, and any kind of event that puts great literature before a wide audience (and audiences don’t get much wider than Oprah’s, who were recommended in their millions the Pevear & Volokhonsky translation of Anna Karenina) is to be applauded. It’s true that too many critics – and far, far too many general readers – have taken the arrival of a new P & V translation as an occasion for scorning the steadfast and often quite lovely older translations of such figures as Constance Garnett, Rosemary Edmonds, and Louise and Aylmer Maude, but that was hardly our new duo’s aim and certainly not their strategy. Nations, times, and idioms change, after all; translation itself is a constantly ongoing process; it “openeth the window,” as the King James Bible translators wrote 500 years ago, “to let in the light” – and each day’s light is subtly different from the light of the day before.